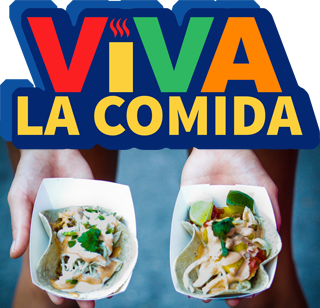 The 82nd Street Partnership presents its 5th annual food and music festival, Viva la Comida. With local food trucks, an art exhibition, an open market atmosphere, and dancing amid live music from a collection of latin, jazz, and roots bands, this is a pure celebration of what makes 82nd Street the heart of the city. FOOD – This year’s participants will serve traditional foods from the Americas and Asia. The festival will be anchored by several Jackson Heights’ favorite Street Food Vendors: El Sabroso de Aracataca (Colombian Arepas), Potala Fresh Momo (Tibetian), Ricas Botanas (Churros), and Oscar’s Chuzos & Elotes (Mexican). New comers include: Jhal NYC, a social entrepreneurial venture to help empower the Bengali community; The Malaysian Project; and Food Therapy by T. Pierce, representingUSA’s soul food/comfort food with a menu of deep fried chicken, BBQ pulled pork, seafood steamers, and their special cornbread. Local restaurants serving a broader range of Ecuadorian, Mexican, and Colombian foods will also be participating in the festival. MUSIC – The festival’s diversity will be on full display at the performance stage. The lineup includes LA Cumbiamba eNeye and their fusion of Colombian indigenous and traditional music New York style, the trio Yuka Seca with traditional songs and rhythms of the Cuban repertoire, the “American Samba” band OsClavelitos with Brazilian rhythms and English lyrics, NYC-based trio La Huerta with latin “cortavenas” or love, and Mexicon Mariachi songs with Yailin. ART – This year will also feature several art projects. Experience a calligraphic demonstration and poetry reading by Chinese civil rights activist and Nobel Prize in Literature nominee Huang Xiang. Commemorate Hispanic Heritage Month with artist Mark Salinas (7TrainMurals) as he leads the creation of a series of murals throughout the event. Plus, the Cultural Center Barco de Papel will host the painting of various household items in their “Cultural Identity Through Everyday Objects” art exhibit. 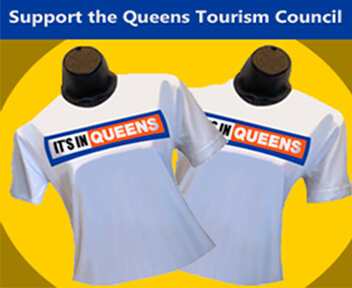 Admission: FREE event in Queens. Vendors have individual prices.